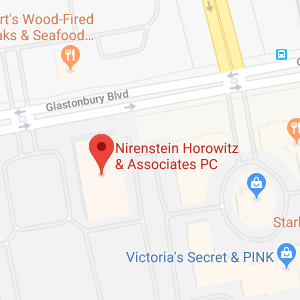 Here at Nirenstein, Horowitz and Associates, we take our connection to the Middletown, CT community very seriously. We have been helping families in this area for a long time, and we understand the needs of our neighbors in around Middletown. This is a fantastic place to live, with access to great dining, shopping, and entertainment. Our connection to Wesleyan University keeps us forward-moving and vibrant, and the deeply embedded history is clearly evident in the firmament of our town. Estate planning is something that people often put on the back burner, and there are various different reasons for the procrastination. Some people look at estate planning as something that is only relevant to senior citizens. In fact, all responsible adults should have an estate plan in place. It can be argued that estate planning is particularly important for younger adults who are parents. After all, the children of a senior citizen are going to be grown and financially independent in most cases. On the other hand, if you have dependent children who are relying on you for everything, your responsibility to them is absolute. Married couples with young children should devise a plan that protects their families, and single parents have a great deal of responsibility as well. Estate planning for a parent of minor children should include the nomination of a guardian, and a financial underpinning should be secured through the purchase of adequate life insurance. The insurance could be used to fund a trust for the benefit of the children. A lot of people assume that you should use a last will as an asset transfer device if you are not extremely wealthy. In reality, there are limitations when you use a will, and there are trusts that can be quite useful for people who are not among the financial elite. The revocable living trust is a type of trust that can provide a host of benefits that would not be available to you if you use a will as your primary estate planning device. With a living trust, you would remain in control of the assets while you are living. After you pass away, the trustee that you choose would be empowered to distribute assets among the beneficiaries free of the probate process. A will would be admitted to probate, and the heirs would not receive their inheritances during this process. It will take close to a year at minimum, but it can take longer in many cases. This is just one probate drawback, but there are others. In addition to the living trust, there are different types of trusts that can satisfy more advanced estate planning objectives. For example, a trust can be used to set aside resources for a person with special needs who is relying on Medicaid as a source of health insurance. Assets in the trust could be used to make the beneficiary more comfortable, but Medicaid eligibility would not be impacted. 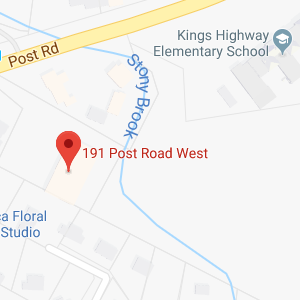 There are many people with significant financial resources in and around Middletown, CT. High net worth individuals can be exposed to the federal estate tax, and here in Connecticut, we have a state-level estate tax as well. To mitigate your exposure to taxation, assets could be conveyed into an irrevocable wealth preservation trust of some kind. These are a couple of different circumstances that can be addressed through the creation of a trust, but there is an appropriate strategy that can be implemented to address any estate planning objective. A well constructed estate plan will address end-of-life issues. You can include durable powers of attorney to name people to act on your behalf if you ever become incapacitated. A living will can be added to state your life support preferences. It is also important to address potential long-term care costs. Medicare does not pay for living assistance, and it is quite expensive. Medicaid is often the solution, but it takes careful advance planning to qualify, because they are income and asset limits. Timing is key, because you are penalized if you give away assets within five years of applying. However, with the proper planning, you can keep assets in the family as you look ahead toward future Medicaid eligibility. If you are a Middletown, CT resident who is ready to put a comprehensive estate plan in place, our doors are open. Give us a call at 860-548-1000 or send us a message through this page to set up a no obligation consultation: Middletown, CT Estate Planning Attorneys.